These electronic Christmas cards for business are simple and beautiful. 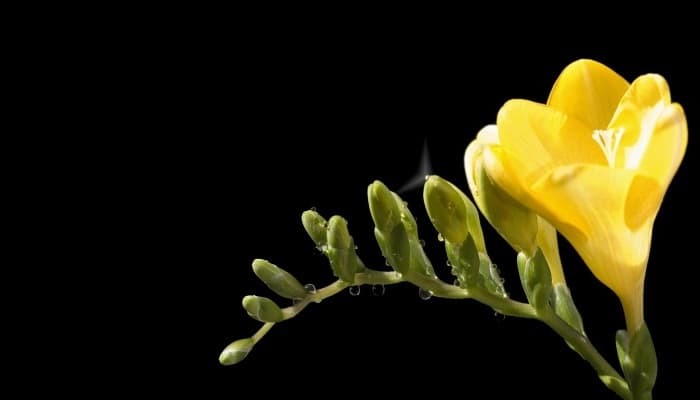 The black background allows the colour of the lemon flower to shine through and the dew gives the image an added sparkle that you’ll rarely see. Whether you want to send employees or clients message of ‘Thanks’ or ‘Happy Birthday’ this card can be used for a variety of different occasions. A common use is to celebrate the easter holiday with one for your business. The receiver will not only get a beautiful image but also feel the warmth of what you wish to say to them. The theme is pleasant, welcoming and above all, an inspiration. The ecard is ideal for new beginnings because the buds are clearly starting to flower and the result is breath-taking. It is encouraging and spring-like. You can guarantee that the person you’re sending it to will not receive a another card to match it and because it is an ecards, you have the option of choosing your own branding preferences and sending it immediately so you don’t need to worry about lost or delayed mail. There are lots of other ecards to choose from on this website so if you haven’t found what you’re looking for, take a browse through some of the other sections. We are especially specialists when it comes to the Christmas holiday period, so be sure to have a look at our business holiday ecards when the time comes.